Overwhelmed with anxiety from job searching. Confident in her ability to work. Occupational Development Center (ODC). client, Christine Froehler did not let her anxiety and depression stop her from finding a job and contributing to her community. According to the Anxiety and Depression Association of America (ADAA), nearly 40 million people in the United States are diagnosed with anxiety; of those 40 million people, half are also diagnosed with depression. 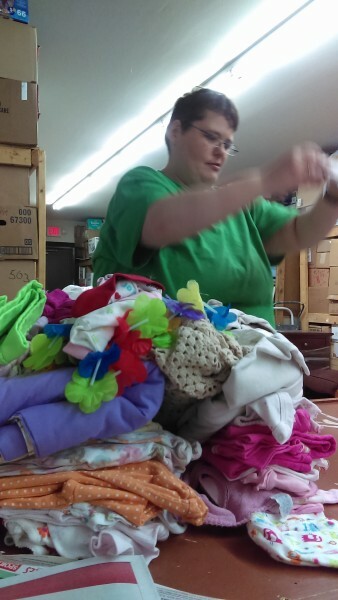 Froehler sorting through a bag of consignment items at Value Smart Retail Consignment. One month ago, Froehler, was placed in the IPS program, allowing her to work directly with ODC IPS Specialist, Tara Ripplinger. Timothy Grace, owner, of Value Smart Retail Consignment, was looking for someone interested in helping pre-sort the many bags of clothing that come in for consignment each week. Grace, who admitted he was a little hesitant about working with ODC due to concerns about long training periods said the entire process from interview, hiring and training was a breeze. “Tim, Nicole and everyone here at Value Smart make me feel like I am valued part of the team,” Froehler said as she sorted through a pile of children’s clothes. Froehler, who was overly stressed and constantly anxious due to the few hours at her last job said it feels great to be able to work part time. Froehler, who admits she struggled to find a job by herself, feels she has found a perfect fit and is happy to call Value Smart her place of employment. ODC is thankful for businesses such as, Value Smart, that open their companies to the opportunities to work with the many talented and able-bodied clients at ODC. 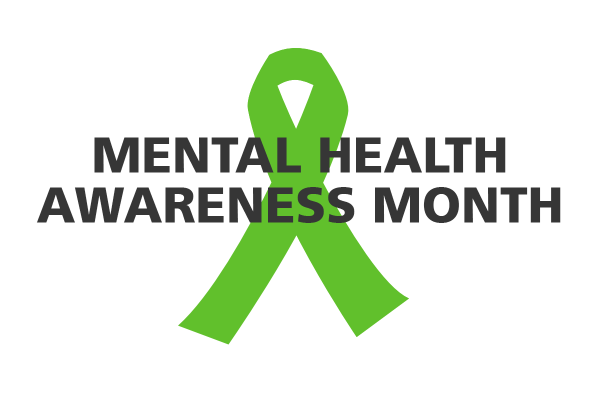 To learn more about Mental Health Month visit: www.mentalhealthamerica.net/may.